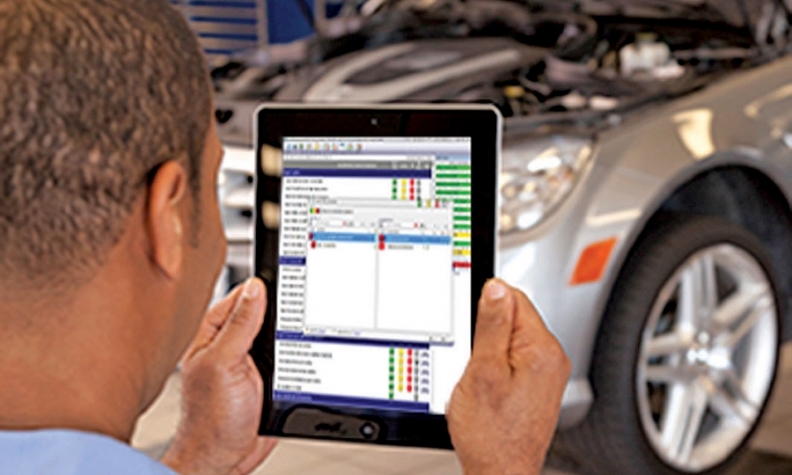 Dealerships and aftermarket shops can help boost customer satisfaction by creating a “connected service experience,” making customer interactions with them more “app-like,” according to a new Canadian market study by J.D. Power. “From scheduling appointments to interacting with the service advisor to staying connected via unobstructed Wi-Fi access, customers expect these services from their local coffee shop,” said J.D. Ney, manager of J.D. Power’s Canadian automotive practice. In an interview with Automotive News Canada, Ney said dealerships and aftermarket shops should build websites with functions that are “as app-like as possible,” allowing customers to set appointments from whichever device they use. Once at the service department, Ney said customers expect Wi-Fi access while waiting for their vehicle, and lacking it could cost dealers and shops future business. Fifty-three per cent of customers “definitely will” return to a dealership for service if it is offered, the study concluded. “I think a lot of customers are surprised” when there isn’t accessible Wi-Fi [at their dealership], Ney said. The study found that service advisers who used tablets when recommending work were more successful in getting customers to sign onto that work than those who didn’t. About 61 per cent of customers had suggested work done if their adviser used a tablet, compared with 44 per cent with advisers who did not use one. About 21 per cent of customers said their adviser used a tablet, according to the study. “I think what you’re seeing there is the impact of transparency,” Ney said. Volkswagen dealerships finished second among dealership brands, with a score of 758, followed by Acura at 753, Audi at 748 and Mazda at 746. General Motors dealerships finished with a score of 740, just above the industry average of 739, while Fiat Chrysler Automobiles finished last among dealer brands at 681. J.D. Power said the annual study, which surveyed 12,340 Canadians with vehicles between four and 12 years old between March and June, measures satisfaction with the overall “service experience” by examining a brand’s effectiveness with service initiation, the quality of service and vehicle pick-up, among other factors. Overall satisfaction with dealership service dipped by two points to 729 this year, trailing satisfaction with aftermarket shops, which finished with a score of 749. The amount of money customers spend per service visit rose to CDN $241 this year from $232 in 2015. Vehicle owners make an average 2.5 visits to service departments each year, according to the study. About 92 per cent of “delighted” aftermarket customers say they will return, compared with 73 per cent of “pleased” customers.